Even talented managers have blind spots when it comes to hiring. Its Your Choice shows managers how to recognize candidates with potential and promise. The video introduces three all-too-familiar personalities with poor interviewing skills and shows how to avoid their typical mistakes. Ethelred the Unready (Hugh Laurie) is utterly unprepared; Ivan the Terrible (John Cleese) is all ego; Jillian the Silent (Dawn French) is afraid to confront tough questions. 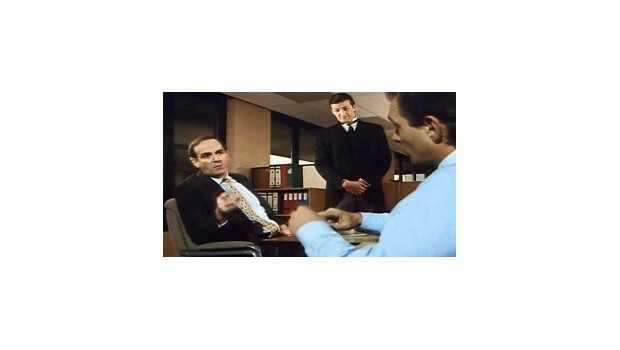 The three managers learn to use more effective selection techniques to make the right choice. Its Your Choice comes with a special video to help candidates prepare for interviews and manage their expectations. Can be used for team leaders and managers on selection interviews and staff recruitment. What's Included DVD, Course Leaders Guide, Delegate worksheets on disk, PowerPoint slides, and Self-study workbook on disk.